Lorene Cary's grandmother moves in, and everything changes: day-to-day life, family relationships, the Nana she knew-even their shared past. 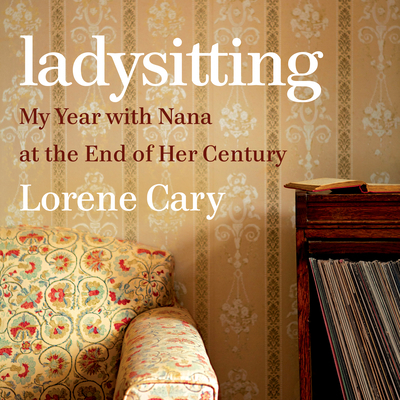 From cherished memories of weekends she spent as a child with her indulgent Nana to the reality of the year she spent "ladysitting" her now frail grandmother, Lorene Cary journeys through stories of their time together and five generations of their African American family. Brilliantly weaving a narrative of her relationship with Nana-a fierce, stubborn, and independent woman, who managed a business until she was 100-Cary looks at Nana's impulse to control people and fate, from the early death of her mother and oppression in the Jim Crow South to living on her own in her New Jersey home. Cary knew there might be some reckonings to come. Nana was a force: Her obstinacy could come out in unanticipated ways-secretly getting a driver's license to show up her husband, carrying on a longtime feud with Cary's father. But Nana could also be devoted: to Nana's father, to black causes, and-Cary had thought-to her grandchildren and great-grandchildren. Facing the inevitable end raises tensions, with Cary drawing on her spirituality and Nana consoling herself with late-night sweets. When Nana doubts Cary's dedication, Cary must go deeper into understanding this complicated woman.